The Front Deck III traction pad is a 3-piece front deck pad that with extreme cut outs for added traction and Flat Cord traction pattern for that waxed on feel. 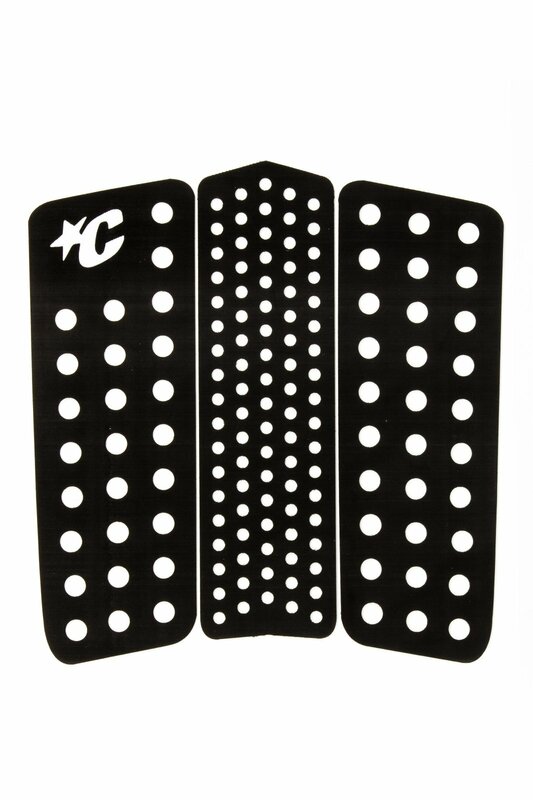 The tonal Black colour-way is perfect for matching back to any coloured or none colour traction pad. Also featuring 3M Adhesive backing and the exclusive lightweight premium EVA formula.